Solar Lights Model RC2-B Reference Cell utilizes a 2cm x 2cm monocrystalline silicon solar cell photo sensor, mounted in a durable black anodized aluminum block with a BK7 glass protective window. Online purchases for domestic sales only. 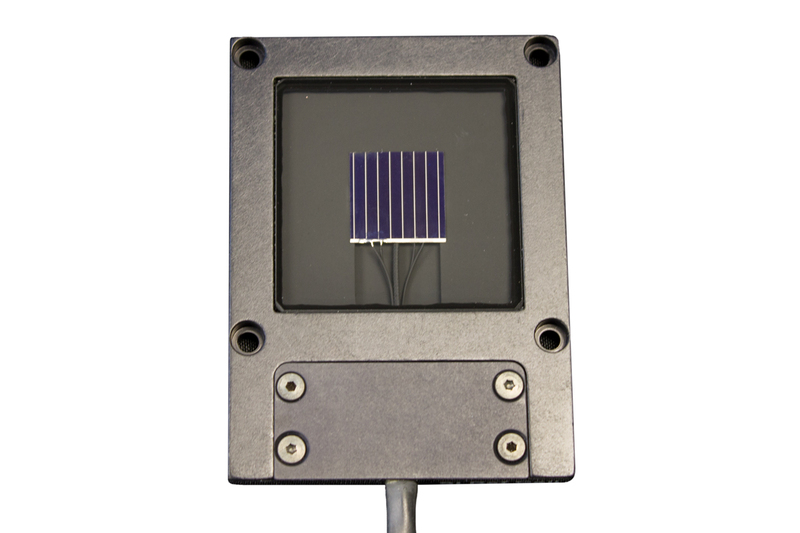 Solar Lights Model RC2-B Reference Cell utilizes a 2cm x 2cm monocrystalline silicon solar cell photo sensor, mounted in a durable black anodized aluminum block with a BK7 glass protective window. The region behind the BK7 window has a low reflectivity coating to minimize internal reflections. A K-type thermocouple temperature sensor attached to the back of the solar cell provides an accurate reference cell temperature measurement. The cell has a 4 terminal connector with mating connectors provided.